It was not too long that I was a newbie blogger making these very same mistakes. What am I saying, I am still fairly new at this! I have only been blogging for about 6 months now (with an unexpected 2 month break) and every day I am learning new things. My favorite posts to read lately are the ones about what NOT to do as a new blogger since I am very much invested in my blog and do not want self-sabotage! From reading around and from my own experiences, I decided to write this round up of the top blogging mistakes and how to avoid them! Hopefully, this will be as helpful for you as it is for me just typing this. Some of these are important to reiterate to yourself time and time again because the more you blog, the deeper you go, and sometimes you can get lost. It is important to reevaluate what is important and what isn’t when running a blog. Do not get lost in your own head. Get out of your comfort zone, read other blogs completely different from yours, experiment, and most importantly, have fun! 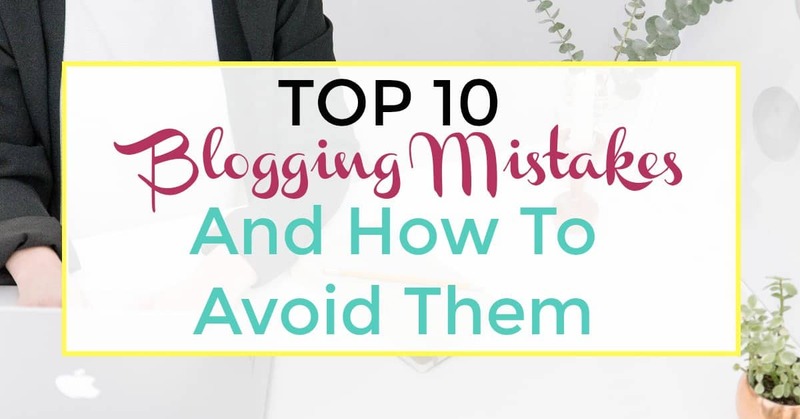 Here are the top 10 blogging mistakes and how to avoid them! In order to have a successful blog, you need a plan in place to follow so you stay consistent and organized. One of the biggest mistakes I made as a newbie blogger was I didn’t have a niche. I had a plan but it wasn’t a realistic one as I didn’t have a clear niche nor a specific audience I was creating content for. I was writing and cranking out content but had no goal for my blog. You will see what I mean if you look at the very first few of my posts. I finally chose a niche within my first couple weeks and created a plan and even though it should have been the very first thing I did, at least it was done. Without it, I don’t know where this blog would be today. If you want to have any type of measurable success with your blog or make money blogging, you need paid hosting. Paid hosting ensures that you can choose the domain you want, own that domain, truly own the site, and control all operations. Don’t end up paying too much for your website though. Bluehost – Sign up for $2.95 a month for basic hosting with my link! When you have a clear plan for what you want to do with your blog, it will be easy to form your posts and stay consistent. Don’t spend hours writing your post because you are going over it time and time again. Proofread your posts with little effort using Grammarly. It is 100% FREE and makes sure your post is clear, effective and makes sure your spelling and grammar are correct as you go. I absolutely love grammarly and is one of my favorite tools that I have used to boost my blog productivity. When you compare yourself to others, you start striving to be like them or have an idea of ‘perfect’ in your head and will never be satisfied about where you are with your blog. This also hinders your ability to be 100% yourself and will show in your content quality. There is no need to freak out and try to be like all the other bloggers out there. Just follow your gut about what you need to do and what you need to write and always be yourself. Yourself will thank you later ;). Treat your blog like a business with a brand. Your brand has consumers that is your audience. And you MUST track your expenses. Let’s face it, having a successful blog is never actually free. 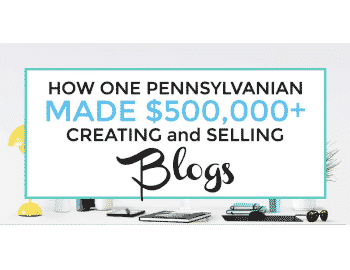 I don’t care who told you that you can have a successful money making blog for free, but they are lying to you. Whether it is just hosting you are paying for, or paying for email marketing, scheduling tools, social media marketing, ads, etc, you need to track your expenses. FreshBooks is amazing accounting software that can make running your small business easy, fast and most importantly: secure. You can easily track your expenses with it’s many low hassle features. This way you are always making the right business decisions and don’t get stuck with massive bills and debt in the long run! If you don’t treat your blog like a business, you probably don’t have an email list either. You need an email list to consistently communicate with your audience (your consumer), track what is working and what isn’t working with your audience, and secure repeat visitors to your blog. It is important to build a relationship with your readers. Without an email list, you never get the opportunity to build a relationship with your readers and keep them engaged. I use Convertkit for my email list and is the best email marketing platform I have worked with. I tried all of the free options and absolutely hated them. They were complicated and a hassle to use. 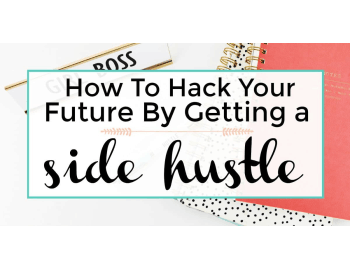 To me, staying productive with my blog is very important as I also have a full-time day job. Convertkit has made it very simple to manage my email list and keep an open on-going relationship with my readers. An amazing way to stay organized with your email list is with using GMass, a mail merge product that lets you send and schedule mass email. So if you want to communicate with different categorized list of subscribers that your email list may be composed of, you can stay on top of it and organize those communications seamlessly with GMass. Use Gmail to send mail merge campaigns with automatic follow-up emails. Personalize. Schedule. Track opens and clicks. Create email lists based on search results. Send emails as replies to the last thread with each person. Set automatic follow-up emails to be sent sequentially until you get a reply. Read more about GMass and how it can help your email list. Pinterest is one of the largest traffic sources for this blog (and most others’ as well) so images is an absolute MUST! Images also boost your SEO so people will be able to find your blog easier when searching for your content on google. Check out PicMonkey to boost the quality of your images and make them pinnable! The first thing you should do after you get your domain and hosting, grab your free included SSL certificate and install it on your site. The Bluehost support team can do this for you if you have no idea what to do, since support is also included for free. Site’s with SSL certificates get a higher ranking in Google than those without, since they are more trustworthy. Installing an SSL certificate will also help protect your blog against potential hackers. Help get your blog post structured appropriately to boost your SEO and gain more visibility in Google’s search results by checking out YoastSEO! This plugin is another favorite tool of mine that I use daily. It will help you choose keywords and use those keywords throughout your posts. It also has a readability feature to make sure all your posts have a good readability rating. Optimizing your theme and site will give the go-ahead to Google indicators that your site is trustworthy. Your site must be original and your theme should load quickly. It also must be responsive as well as being cleanly coded with no broken bits or modules. There are plenty of free themes that are SEO optimized but sometimes you might get more out of purchasing a theme. 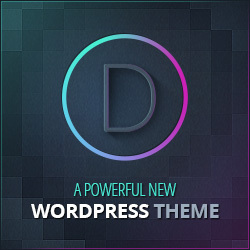 Creative Market, Elegant Themes, StudioPress and iThemes are known for their state of the art themes and security. Check out Genesis from StudioPress, one of the most popular among professional bloggers due to how many benefits it provides, SEO being one of them! When you first set up your blog, apply for and use rich pins. Remember to get a business account on Pinterest for your blog as well. 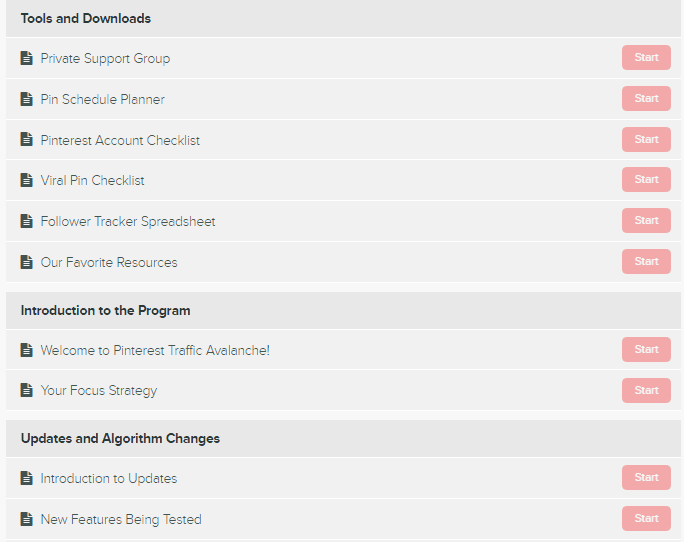 Or else you won’t be able to set up rich pins nor be able to use the Pinterest Analytics. Rich pins are more likely to be clicked on and will ultimately bring more visitors to your blog. Set up your pins on a schedule using either Tailwind or Boardbooster. Learn how I went from 300 to 3,000 pageviews using Pinterest using both of these tools! Pinterest is not the only secret here though. Share daily on all the social media platforms you can. From Facebook and Twitter to Reddit and Stumbleupon, there is always more readers in your target audience waiting to find your content and latch on! If you don’t know where to start with Pinterest in order to help you gain success with your blog, check out the Pinterest Traffic Avalanche course. Pinterest Traffic Avalanche is a solution for beginner bloggers to drive 10,000 – 100,000+ ORGANIC monthly visitors to their blog, on auto pilot! 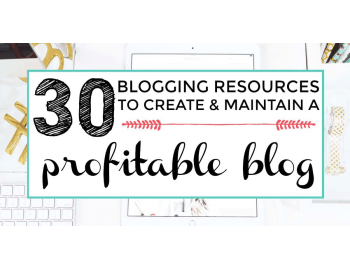 Want to start monetizing your blog? Try out affiliate marketing and check out the Making Sense Of Affiliate Marketing course. 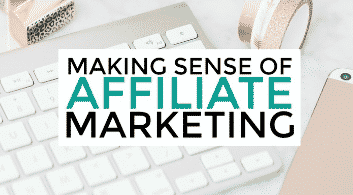 One of the best blogging investments you will ever make is Michelle’s Making Sense Of Affiliate Marketing course. It helped me increase my affiliate marketing income by about $3,000 since I took the course 3 months ago. The money is well spent with this one since you will get access to all the course content and Facebook group for life. What other tips do you have for other bloggers like us that you don’t want to see making the same mistakes we have? I would love to hear from you! Well, you have summed it so well. I believe the biggest mistake bloggers commit is not having an email list and comparing themselves to other bloggers. It’s easy to get compare ourselves to others but this wouldn’t help you grow. In fact, it can demotivate you. One should have a clear vision about his/her blog. I guess there are always lessons to learn. So, making mistakes is quite common but the best is to learn from them and avoid them. You are so right, Arfa! Useful post. I would just add though that you must make sure you are not infringing copyright by using others’ photos – and that includes pinterest. Bloggers seem to think they can just go to pinterest and help themselves but that’s not true unfortunately. Linda, you are 100% correct! I can’t count how many time I have seen that happen. This is so amazingly helpful! Now I feel so motivated to make and improve a blog of my own! I really liked the tips on utilizing email to reach your readers. Glad this was of some help to you! all around great list. I agree with all ten items on the list and I was guilty of a couple of them. But my biggest mistake was that I thought I can succeed with just writing and posting articles. Without promotion and without the dreaded link building. Of course, that didn’t go too well and you can guess how I fared?